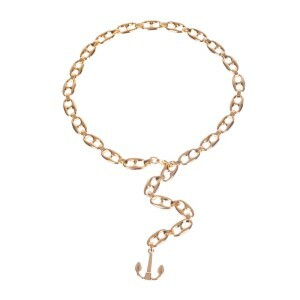 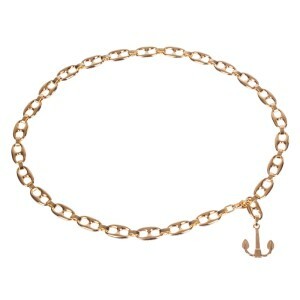 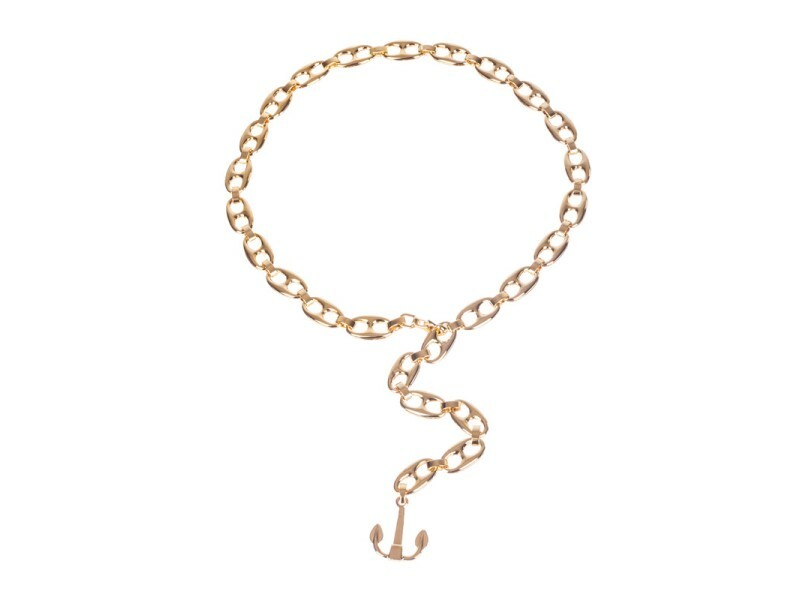 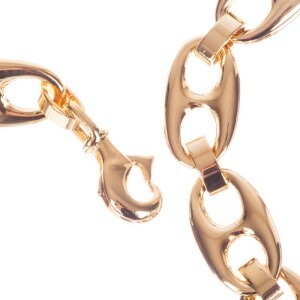 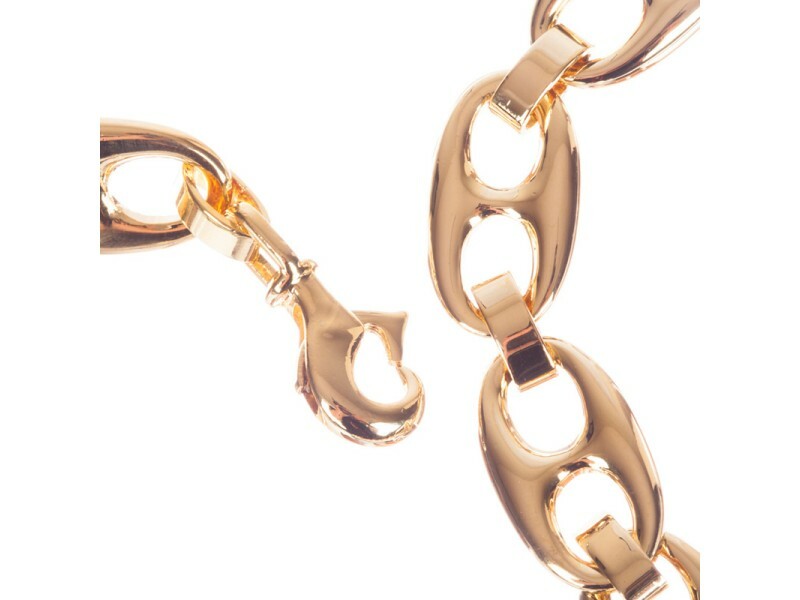 Beautifully designed mariner link necklace in 18k gold plated with an anchor charm. 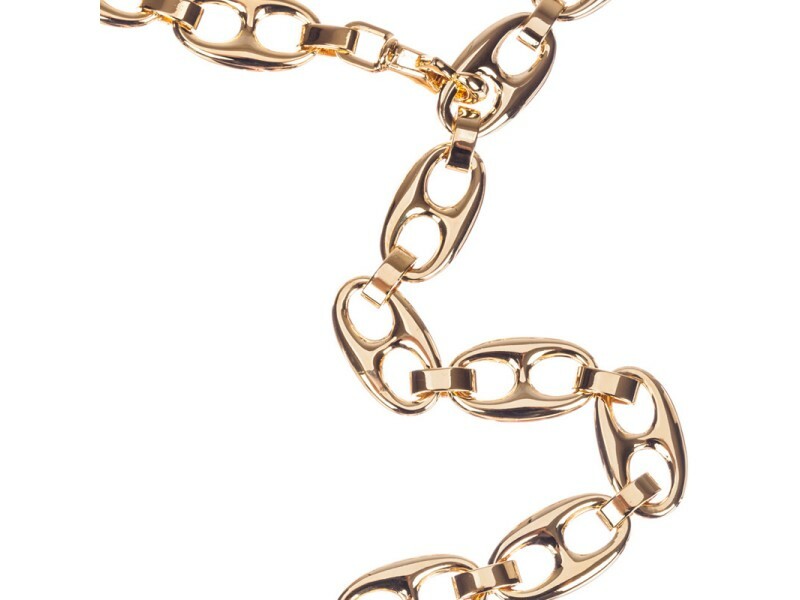 Necklace measures, 35” long and 5/8” wide. 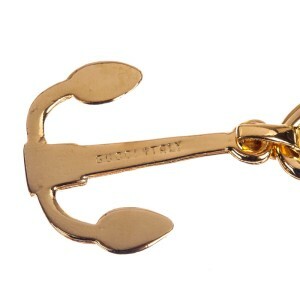 Anchor is 1 ½” long. 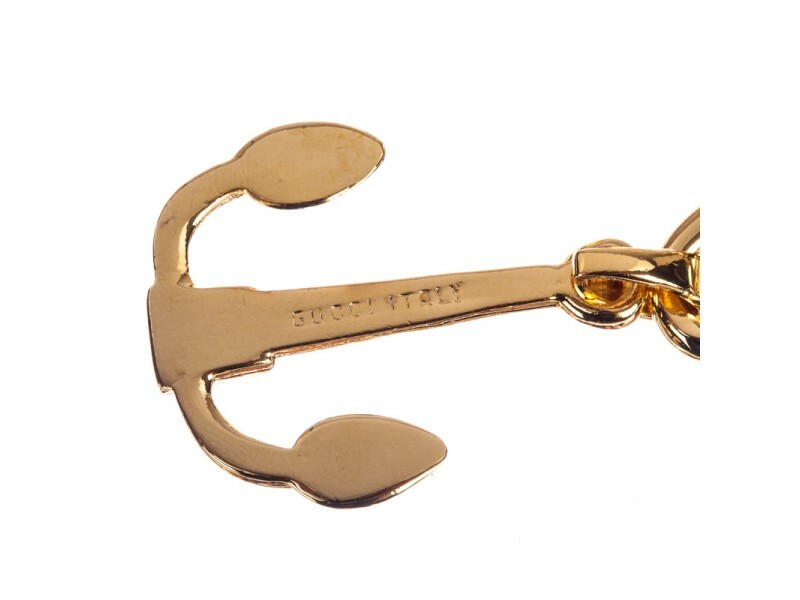 Marked, “Gucci, Italy” on the back of the anchor. 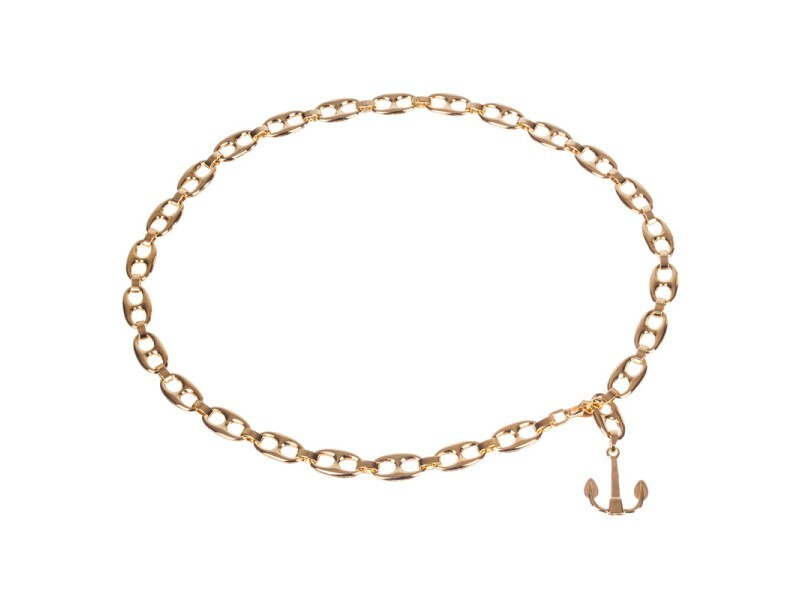 Could be worn as a necklace or as a belt.